Talk about a fixer-upper: in 2005, Nicholas Ashley-Cooper, then a pro DJ living in New York, suddenly inherited the title of 12th Earl of Shaftesbury—and simultaneously became the steward of St. Giles House, his family’s estate in Dorset, England. The 400-year-old manor was in rough shape. “There was water pouring through the roof, holes in the walls, and plasterwork missing,” recalls Lord Shaftesbury. His transformation of the property into a family home and events venue—he and his wife, Dinah, are raising their children there, the idyllic grounds are sought-after for weddings and parties, and an outbuilding has been repurposedfor short-term stays—is the subject of the “Design in Mind with the Earl of Shaftesbury” lectures on March 16 and 17 at the Gaillard Center. (Clockwise from top) St. Giles House; In The Rebirth of an English Country House, The Earl of Shaftesbury writes that the Great Dining Room was “left in its unrestored state” to showcase its history. Sponsored by Urban Electric Co. for Historic Charleston Foundation’s Charleston Antiques Show, the program will detail the restoration of the red-brick Georgian manse. “We worked to ensure that history is preserved and the character of the building is retained, but avoided turning it into a museum,” Lord Shaftesbury explains. And a museum it is not: kiddos Anthony, Viva, and Zara are free to tear through the hallways, while the basement beer cellar is now a nightclub. 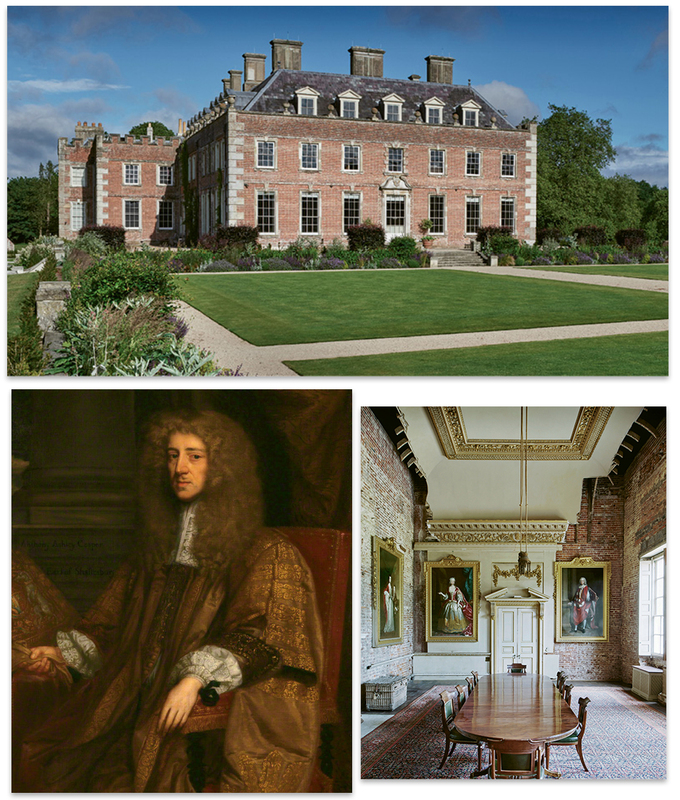 Lush photos, some from Lord Shaftesbury’s book, The Rebirth of an English Country House: St Giles House (Rizzoli, September 2018), will add color to the lecture, as will details from his family history, including the tragic events—the murder of his father and death of his older brother—that led him back to the family seat. Lord Shaftesbury is in turn keen to explore the Lowcountry, especially given his ties to this place: he is a descendent of Anthony Ashley Cooper, the 1st Earl of Shaftesbury, one of Charleston’s founders. “I look forward to enjoying the richness and history of the city’s architecture,” he says.